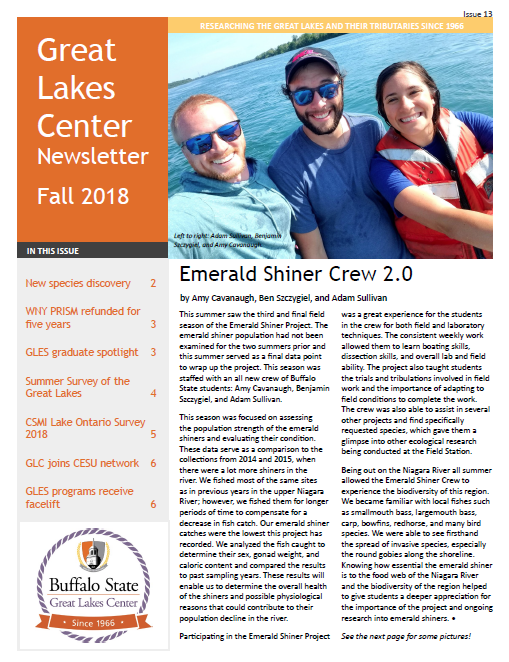 The Great Lakes Center newsletter is produced semiannually. It is shared with the campus community and our collaborators. To subscribe to the GLC Newsletter, please send an email with the subject "Newsletter mailing list" to greatlakes@buffalostate.edu.